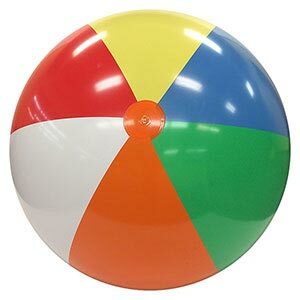 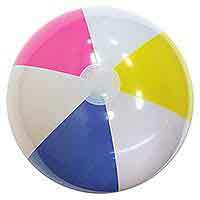 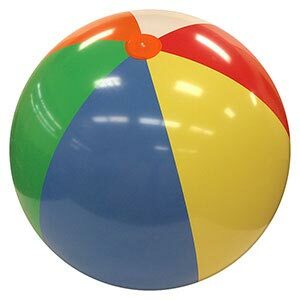 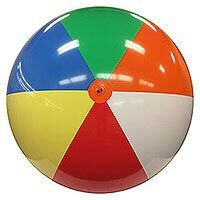 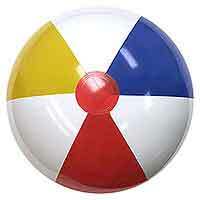 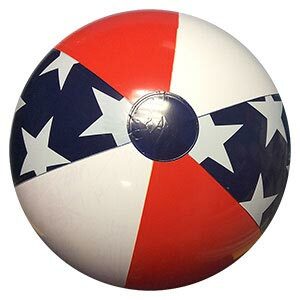 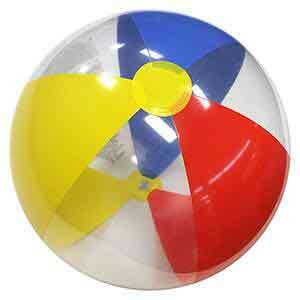 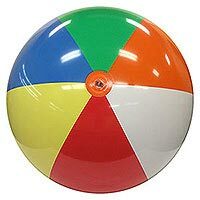 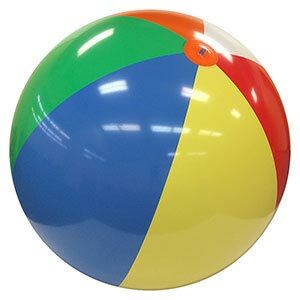 6-Foot Deflated Size (About 4.3 Feet Tall) Heavy-Duty Giant Multicolor Beach Balls featuring six panels in Orange, White, Red, Yellow, Light Blue and Green with Orange end circles and featuring a clear plastic hook to tie this beach ball down, if needed. 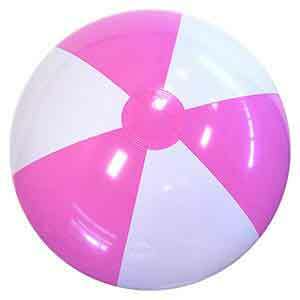 Also features easy inflation quick-release valve for inflation purposes or pop the valve and let deflate. 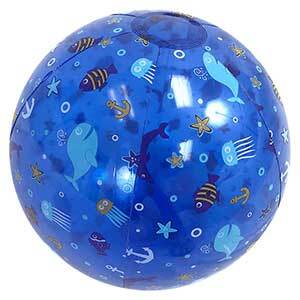 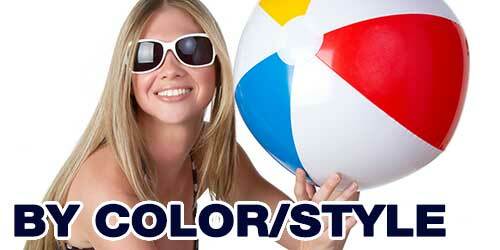 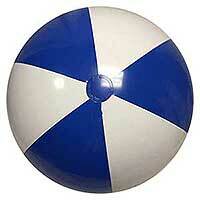 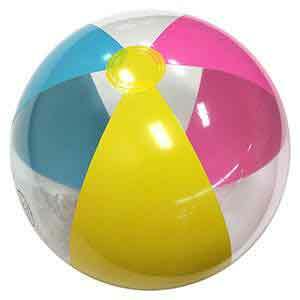 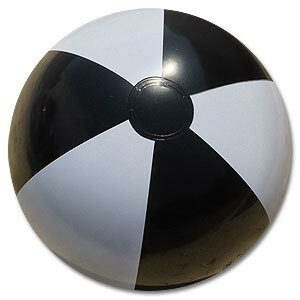 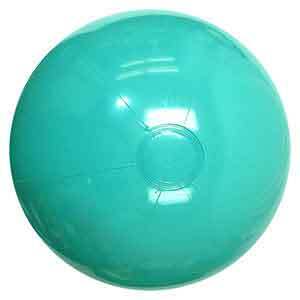 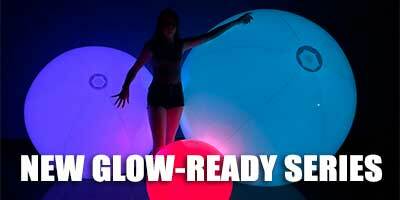 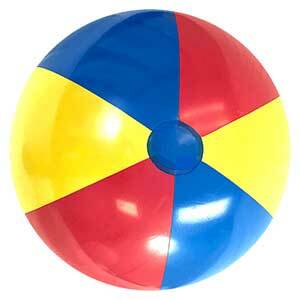 This Beach Ball, when fully inflated, stands at nearly 4.3-feet tall. 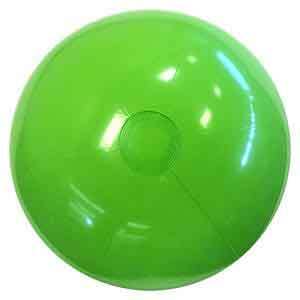 Size packaged is the deflated size from end to end. 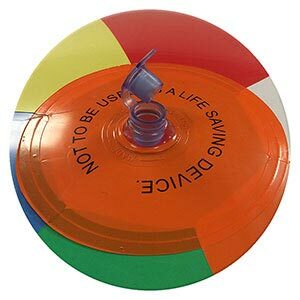 Individually Packaged with Repair Kit.